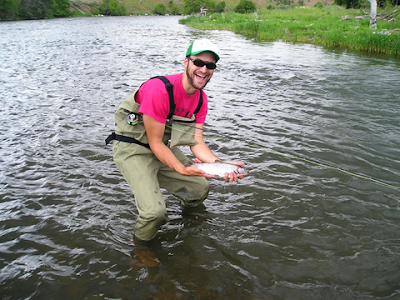 Brian Marz's Fly Fishing Oregon Blog: Deschutes Salmonfly Hatch is Underway!!! It's Game On!! Deschutes Salmonfly Hatch is Underway!!! It's Game On!! Salmonfly - Some Serious Trout Food! Yesterday afternoon, I spoke with a buddy who told me that fish were being taken on the surface on the Deschutes with dry fly salmonfly patterns around Maupin. The time has come!!! It is not "going off" yet, but my friend has been out there all week, and yesterday (4-11-2011) was the first day he was getting trout on the surface. He did not catch a ton of fish on topwater, but he did succeed. The nymph fishing has been strong, and now that the flies are starting to get taken on the top; it is time to start fishing over there. The stonefly hatch is now focused lower down towards Maupin, and it will move up the river over the next few weeks; so being in the stretch where the fish are looking up is the key to success in the early phases. 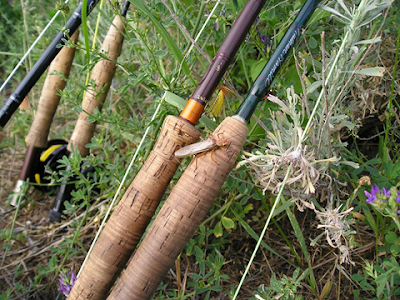 Before you know it, the fish will get keyed into the adult stoneflies up and down the river, and the fishing will be that "famous stonefly fishing" that we all hear about. If you have not experienced the fishing during this hatch; you need to give it a try. Yes, it does get extremely crowded, but for a good reason. If watching your 2 inch long fly getting clobbered by a suicidal trout does not appeal to you, then this hatch is not for you. There is a reason a lot of people come to the Deschutes to fish this hatch; it is very exciting, and there are so many flies out, where it is one of nature's amazing spectacles to see. If you have not been over to the Deschutes for the SALMONFLY hatch, then you need to get yourself out there. If you are interested in booking a multi-day Deschutes trip , then call me at (541)232-6360 or email me at fish@mckenzieangler.com. There are only a few bookings available with the outfitter I work with on the Deschutes for the stonefly hatch time; so act fast! Otherwise, you will have to wait until next year!